Driven by a vision to create a culture of peace within the Worcester community, the founding members of the Center for Nonviolent Solutions (CNVS) began meeting in 2008 to discuss ways to educate Worcester’s residents about the history and efficacy of nonviolence, how to transform conflict, and nonviolent communication skills. With persistence and dedication to achieve its mission, CNVS gained recognition as a nonprofit organization in July 2010 and hired its first part-time Executive Director in May 2011. Soon afterwards the Board of Directors, staff, and volunteers met for an inaugural retreat. 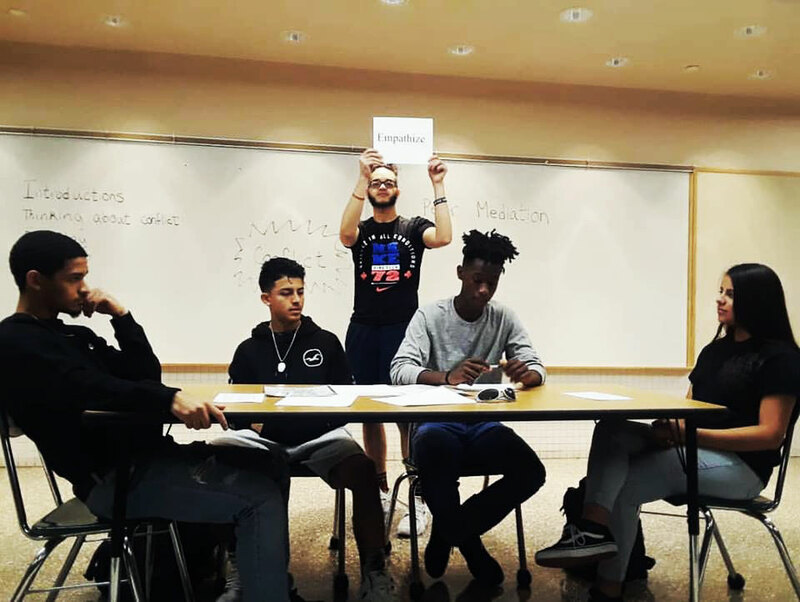 At the retreat, CNVS decided to pursue education (youth and adult), establish Community Mediation Services, and host a resource center and speakers’ bureau as the main avenues through which they could build a culture of nonviolence in Worcester. Since inception the Center for Nonviolent Solutions has delivered on it mission to provide education and resources to help the Worcester community to understand nonviolence and peacemaking as a way of life and to reject the use of violence in resolving conflict.